Modern equipment - you'll hear the difference immediately. We have a modern machine at our surgery so that we can provide a valuable ear syringing service throughout Guildford and Surrey. Ideally, you should introduce a little olive oil into your ear for a couple of days before undergoing the simple procedure as this softens any problematic wax which is lodged in your ear canal. The best way to achieve this is to pop a few drops of olive oil into the ear and plug it with some cotton wool. At your appointment, we will syringe your ears with a small applicator introduced into the ear canal which washes the ear with warm water under pressure. The procedure is easily tolerated and not painful. We syringe both ears as a matter of course. If we are unable to completely remove the wax first time, we will make another appointment for you to come back – again, pop some olive oil in your ear for another couple of days and we will re-syringe them (there is no charge for the second treatment). The procedure takes about 15 minutes, and the results speak for themselves! 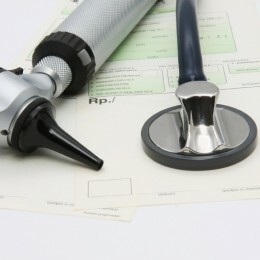 If we find, on examination of your ears, that it is inappropriate to syringe them, we will deal with the problem we find there and then and of course we will not charge you the ear syringing fee – we will reduce our fee in this instance and charge the consultation fee instead.